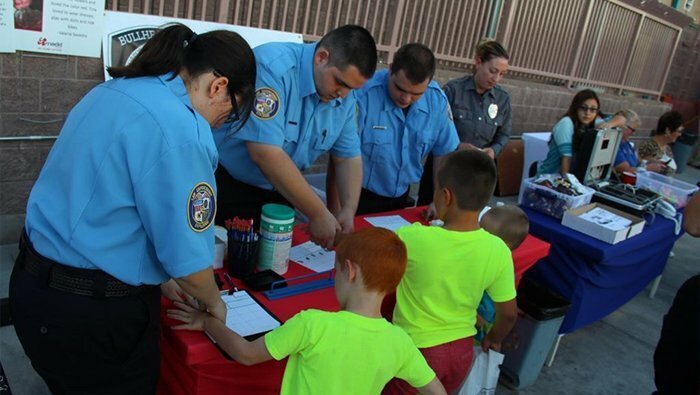 BULLHEAD CITY–The Bullhead City Police Department is accepting applications for its Explorer Program now until December. Anyone ages 14 to 20 and of high moral character are invited to apply to be part of the Bullhead City Police Department Explorer Post 1255. Police Explorers is a career-oriented program that gives young adults the opportunity to discover a career in law enforcement by working with local law enforcement agencies. Police Explorers will receive law enforcement training, one-on-one mentorship and participate in exciting activities. Applications are due on December 1 to the Human Resources Department. Applicants must have their most recent report card available prior to being appointed as an Explorer. More information on qualifications and applications can be found at www.bullheadcity.com. Click on “Online Services” and select “Apply for a Job.” You will find the application under the “Volunteer” category. For any questions, contact either Explorer Advisor Corporal David Finney at 928-234-7506 or dfinney@bullheadcity.com; Committee Chair Corporal Marvin Harris at 928-763-9200 ext. 203 or mharris@bullheadcity.com; or Officer Daniel Crawford at dcrawford@bullheadcity.com.